What is a meaningful choice? It's a decision that affects you, means something to you. A game where I faced a memorable choice was, surprisingly, Grand Theft Auto IV (mild plot spoilers ahead). I usually think of that game as a playground with little real consequences: you can blow up half the city then be released from the hospital afterwards with all your weapons and nothing but a small fine. In one of the missions, you have to kill one of two friends. These are people you've virtually texted, hung out with, and helped. Still, I wasn't particularly attached to these characters and naturally chose the one I liked the least. The chase through town ended with the friend desperately trying to open a locked door while pleading for his life. I couldn't help but feel a little something as I gunned down my ex-pal, who still clung to the doorknob for a moment before falling dead to the ground. This choice affected the game world. For starters, the friend I chose is dead and the other is not: this changes who I can interact with in the future. The rewards for either choice are vastly different and change the game world to a certain extent. This choice had consequences and meant something in the game. In other words, it was somewhat of an important choice. Games that change according to player choices are becoming more and more popular: even the latest turbo-popular Call of Duty game integrated player choices and branching paths into its story mode for the first time in the series. The award-winning The Walking Dead game is chock full of choices that have a substantial impact on the player and the game world. While playing, a lot of the decisions subtly or greatly alter the game experience. The game, winner of Spike's Video Game Awards 2012, is definitely worth checking out. The addition of meaningful choices in video games helps create a game world that feels organic and that you, the player, can help shape. I'm calling these game worlds consequential: the experience becomes something else since anything you say or do can have an effect immediately or later on in the game. 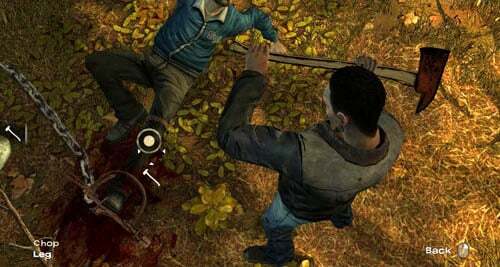 The atmosphere of The Walking Dead was different from traditional, more linear story-driven games: the game world felt alive, dynamic, and consequential. This contrasts with highly linear games. For example, in the Uncharted series (one I really enjoyed), the story is set in stone, like that of most modern video games. Nothing you do can modify the narrative. The gameplay is fun, but the consequences never feel real. Let's say you're trying to save Elena in the game. Even if you fail, you just re-start at the next checkpoint and try again. There's no way that a branching storyline will ever happen based on your interactions with the game. Even if you fail temporarily, Nathan Drake will always save Elena in the end. Thus, there are no real consequences that the player must deal with. However, in The Walking Dead, there are many moments that don't reset if you fail as well as important choices that can't be undone. As important as character deaths (or other plot points) can seem in completely linear game stories, they feel a whole lot heavier when you feel as if something could actually have been done to save them as opposed to knowing that the character's death is necessary and unavoidable. Although I haven't yet played Heavy Rain, it seems like an excellent example of a consequential game world from what I've heard and read about the game. Spec Ops: The Line is also supposed to make you think about choices and consequences in military situations instead of just shooting everything. Video games, one of the only art forms able to be non-linear, could benefit greatly by exploring this type of dynamic world creation that can only be delivered in a video games. Meaningful choices and consequence expand upon what is possible with world creation and a player's interaction with that world. After all, dynamic situation with consequences that feel real engage you and make you think, connecting the player with the game perhaps more than ever.